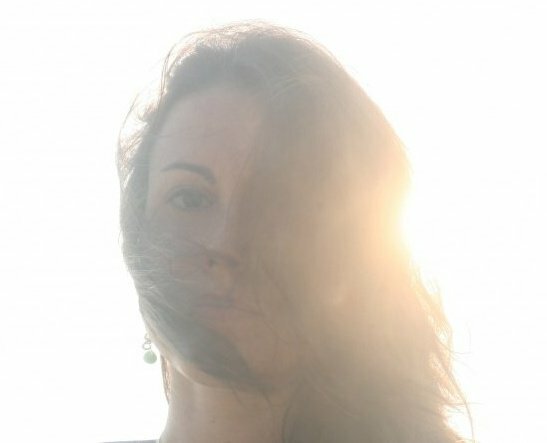 Colby Rolando is a 500 hr Yoga Teacher, Personal Mastery Coach, & Energy Healer/Teacher who has been working with individuals and groups for more than a decade, supporting them in their process of self-discovery and helping them to cultivate greater peace, fulfillment and joy in their lives. She is the co-owner at Oceans Of Calm, along with her husband and founder, Ray. Colby has nearly three decades of extensive experience in learning, incorporating, and understanding different forms of movement and the body/mind connection. She has done this, both as a classically trained dancer, and by way of numerous certifications and 10 years of teaching yoga. Colby’s first love was dance, which was what brought her to New York City from California. Her romance with dance began in 1983 and, since this time, she has been classically trained in ballet, pointe, jazz, hip hop, and modern – including Graham and Horton, as well as choreography. She has a BA in Dance and studied on scholarship at Alvin Ailey Dance Center in NYC for a year. Colby finds great passion in helping people access being in their bodies through different forms of movement and creative expression. She helps to facilitate their opening to a new sense of freedom and possibility that is both unique and unanticipated, deeply invigorating and healing; yoga, movement and meditation that stills the mind and stirs the soul. Colby is also a Personal Mastery Coach. Through various transformational modalities that she has been trained in, which have provided her depth of understanding the different levels of the mind, as well as her own innate, empathic and intuitive gifts, Colby helps others find greater clarity. She leads them to a deeper, more effective connection to their inner truth and power within where they can access their own creative solutions and harness their unique expression of self. Colby has received an array of trainings and certifications in hands-on energy healing therapies, including Reiki, Rising Star, and Prema Birthing as well as a biophoton light therapy instrument, called the Chiren.